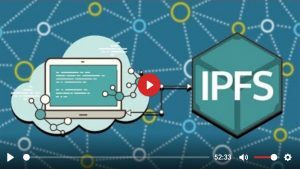 (Select a Post) tag=solutionsRoberto Casanueva Spreads Positive PropagandaInterview 1437 – Roberto Casanueva Spreads Positive PropagandaDeclare Your Independence with IPFS!Interview 1435 – Declare Your Independence with IPFS!Solutions: Open ScienceEpisode 354 – Solutions: Open Science#FreeRoss, Cashless Backlash, 3D Printed Guns – New World Next WeekInterview 1371 – New World Next Week with James Evan PilatoInterview 1370 – James Corbett on the New World OrderEpisode 335 – Solutions: Spontaneous OrderWhen Did Bin Laden Die? – QFC #039When Did Bin Laden Die? – Questions For Corbett #039Crypto-Anarchy and Holistic Self-Assessment w/ Derrick BrozeInterview 1351 – Derrick Broze on Crypto-Anarchy and Holistic Self-AssessmentYouTube is Now ThemTube: Time to Flee the Failed PlatformWhy Economists Are Always WrongEpisode 331 – Why Economists Are Always WrongGPS Blackout, AI Courtroom, Community Internet – New World Next WeekInterview 1340 – New World Next Week with James Evan PilatoSolutions: Building CommunitiesPeople-Powered Solutions to Start the New Year – New World Next WeekInterview 1337 – New World Next Week with James Evan PilatoWhere We’re Going, We Don’t NEED Roads!You Are Powerful And We Are WinningDerrick Broze on Holistic AnarchismInterview 1314 – Derrick Broze on Holistic AnarchismIntroducing Pirates Without BordersInterview 1310 – Ernest Hancock on Pirates Without BordersSo You’ve Decided To Boycott Google…Jeffrey Tucker Reveals the Future Bit by BitSolutions: Stop Using YouTubeInterview 1297 – James Corbett on the Innerverse PodcastThink you know how to “End The Fed”? Take the #FedChallengeInterview 1278 – James Corbett on Resistance Without AngerHow to Talk to Statists with Larken RoseThe Most Dangerous Philosophy: What The Oligarchs Don’t Want You To KnowInterview 1268 – Derrick Broze on The Theory and Practice of AgorismBrowser History, Unraveling Hacks, Floating Cities – New World Next WeekInterview 1265 – New World Next Week with James Evan PilatoHow to Disrupt the Global Enslavement GridDecentralize Everything: How To Avoid the Technocratic NightmareVoluntary Solutions for Ending the FedSolutions: Cell 411 with Virgil VaduvaInterview 1232 – Virgil Vaduva on the Cell 411 Solution#NotMyPresident? #DrainTheSwamp? The REAL Revolution Is Already HereOnly Love Can Defeat the New World OrderSolutions: Freedom CellsInterview 1218 – The Freedom Cell Solution with Derrick BrozeLessons in Resistance: Open SourceNational Emergency, UN Internet, Homeland sElections – New World Next WeekInterview 1204 – New World Next Week with James Evan PilatoFingerprint SIMs, Imaginary Vans, Community Internet – New World Next WeekInterview 1200 – New World Next Week with James Evan PilatoSocial Media Censorship Is Out of Control! Here’s one solution.Dear Government, Deliver Us From FreedomFiat Money vs. BitcoinInterview 1199 – Ken Shishido on Fiat Money vs. BitcoinHow to Control Your Smartphone (So It Doesn’t Control You)Interview 1194 – Larry Rosen Gives Practical Advice on Controlling Your SmartphoneHow to Download and Build Your Own HouseInterview 1191 – Catarina Mota and Marcin Jakubowski Introduce the Open Building InstituteHow To Beat The Banksters At Their Own GameOpen Source Solutions: An Open Source InvestigationThe Greatest BlessingP2P Solutions: An Open Source InvestigationInterview 1136 – Jack Blood on Voting With Your DollarsInterview 1135 – James Corbett on The Anarchist StandardSolutions: Revolution of the MindCriminal Climate Court, Indonesia On Fire, Maker Culture – New World Next WeekAre We Ready for Anarchism? (video)Are We Ready for Anarchism? – Questions For Corbett #026You’re Already a Criminal: An introduction to counter-economicsCounter-economics: This is what a real revolution looks likeEpisode 309 – Solutions: AgorismWhat Can We Do To Prepare? 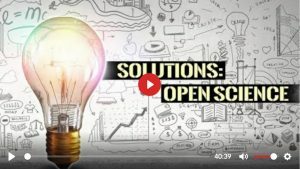 – Questions For Corbett #025Interview 1086 – James Corbett on the Battle for Your MindScotland Issues GM Crop Ban (#Winning!)Winning! (Contest)Real Solutions Arise Out of the Greek Crisis4 Signs the World is NOT EndingInterview 1050 – James Corbett on KSGF 104.1Solutions, Solutions, Solutions!Climate Catholics, Martial Law PSA, 3D Breakthroughs – New World Next WeekInterview 1037 – New World Next Week with James Evan PilatoInterview 1034 – Joshua Pearce Explains the 3D Printing RevolutionThe P2P Economy Goes MainstreamInterview 1031 – New World Next Week with James Evan PilatoInterview 1027 – Sean Dagan Wood Promotes Positive NewsHow To REALLY Defeat GlobalismWhat Your Computer’s File Directory Says About Your MindSolutions: The Peer-to-Peer Economy (Transcript)How To Free Your Tax Cattle (Transcript)Interview 1021 – James Corbett on Reality BytesInterview 1020 – Simon Krimms Authors an anti-NWO Children’s BookSolutions: The Peer-to-Peer Economy (video)Episode 303 – Solutions: The Peer-to-Peer EconomyHow To Free Your Tax Cattle (video)Episode 302 – How To Free Your Tax CattleInterview 1011 – Thomas Freedman on Creating a Community OrganizationInterview 1003 – Kallen Diggs on Avoiding the College TrapInterview 1002 – Morag Embleton Introduces WorldChanging.meThe Peer-to-Peer Economy – Subscriber NewsletterAnthony Gucciardi on Changing The World Through Charitable GivingInterview 996 – Anthony Gucciardi Explains How to Change Your Life for GoodSolutions: Guerrilla Gardening (video)Episode 299 – Solutions: Guerrilla GardeningInterview 988 – James Corbett on Solutions for a New GenerationPedophiles in Power, Et Tu Charlie, Community Gardens – New World Next WeekInterview 987 – New World Next Week with James Evan PilatoInterview 981 – Larry Pinkney Explains How to Avoid Another ObamaPolice Paranoia, Ukraine Citizenship, Organic Solution – New World Next WeekInterview 976 – New World Next Week with James Evan PilatoInterview 974 – Fairdinkum Radio: Russia, China and GlobalizationJames Corbett Answers Reddit’s QuestionsInterview 958 – Financial Survival: The Psychology of ControlInterview 951 – Inverting the Federal Reserve PyramidInterview 928 – James Corbett Discusses Voluntary Solutions to Ending the FedInterview 906 – Social Engineering 101 with James CorbettInterview 903 – James Corbett on the Failings (and Promise) of the Alt MediaThai Hunger Games, 3D Ear, DIY Broadband – New World Next WeekInterview 899 – New World Next Week with James Evan PilatoThe Answer to Common Core: Alternative Models of EducationInterview 897 – Matthew Slater Explores the Meaning of MoneyFed Laundering, Nazi Royals, GMO Ban – New World Next WeekInterview 890 – New World Next Week with James Evan PilatoWorld Cup Robbery, 9/11 Whitewash Museum, Good News Updates – New World Next WeekInterview 885 – New World Next Week with James Evan PilatoInterview 884 – James Corbett Discusses the Anarchist IdeologiesInterview 880 – Ryan Grant Explains DistributismCrowdsourcing Surveillance, Mainstream Conspiracies, No GMO Russia – New World Next WeekInterview 863 – New World Next Week with James Evan PilatoInterview 862 – Denis Rancourt Dissects the Tort of DefamationMore Good News, Seawater Fuel, Blood Moon Apocalypse – New World Next WeekInterview 859 – New World Next Week with James Evan PilatoGood News Next Week – #NewWorldNextWeekInterview 854 – James Corbett on Life, the Universe and EverythingInterview 853 – New World Next Week with James Evan PilatoInterview 850 – James Corbett on Global Imperialism and Global CollapseInterview 848 – James Corbett on The Conscious ResistanceInterview 846 – The Censorship Solution with Michael DeanInterview 839 – James Corbett on The Ochelli EffectSmart Tyranny: How to resist the smart gridUnite and Conquer: Fighting Back Against the OligarchyThe NSA and the 9/11 DeceptionDANGER: Nullify NSA Gaining Ground (Racism! Slavery! )Interview 806 – #NullifyNSA is Catching On Says Michael MaharreyNew World Next Year – 2014Interview 796 – New World Next Week with James Evan PilatoInterview 795 – The NSA Enemy List on Ground ZeroThe Open Source SolutionHow to Nullify the NSA (and every other government tyranny)Episode 289 – Solutions: NullificationInterview 788 – Michael Maharrey on Nullifying the NSAInterview 779 – Carlo De Micheli Introduces OSVehicleOpen Source Journalism (video)Episode 288 – Open Source JournalismInterview 778 – James Corbett Discusses Morality and the StateFreedentity: Life in the Transnational RepublicSolutions: Make Your Own Media (video)Silk Road Shutdown, Fukushima Fast Food, Exercise Pills – New World Next WeekEpisode 283 – Solutions: Make Your Own MediaInterview 759 – New World Next Week with James Evan PilatoIntroducing the 2011 Video ArchiveSolutions: Overcoming Stockholm SyndromeEpisode 281 – Solutions: Overcoming Stockholm SyndromeInterview 750 – James Corbett Explains the NWO Agenda (and how to defeat it)…But What About The Roads?Episode 277 – …But What About The Roads?Interview 720 – Martin Cassini on Equality StreetsInterview 717 – Walter Block on Privatization of Roads and HighwaysInterview 713 – Leon Pittard on How to Grow Your Own FoodHow to Boycott Wall StreetInterview 710 – James Corbett on The Power of the BoycottHow to Boycott Big TechInterview 707 – Fukushima, Gold and Solutions: James Corbett on The Power HourSolutions: Boycotts and BuycottsEpisode 275 – Solutions: Boycotts and BuycottsInterview 706 – Dr. Katherine Albrecht on the Startpage private search engineInterview 704 – Aaron Dykes and Melissa Melton on GMO LabelingInterview 703 – Tim Kilkenny on the Free Software SolutionWhat is the endgame? (video)What is the endgame? 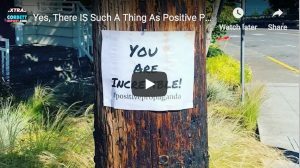 – Questions For Corbett #007We Are (Still) Winning (video)Episode 273 – We Are (Still) WinningSolutions: Sousveillance (video)Episode 272 – Solutions: SousveillanceNSA Spying: False Hope vs. Real SolutionsSolutions: Peaceful Parenting (video)Episode 270 – Solutions: Peaceful ParentingThe Meaning of Life (video)Episode 267 – The Meaning of LifeInterview 661 – Tami Canal on #MarchAgainstMonsantoInterview 651 – Jeremy Rys on 9/11, the Energy Cartel, and the Future of HumanityInterview 650 – James Corbett on The Government QuestionComplementary Currencies: A Beginner’s GuideInterview 642 – Kris Andrews on Red Hot InkersInterview 641 – Stefan Verstappen on Defense Against the PsychopathInterview 638 – Paul Glover on How to Create a Community CurrencyInterview 636 – Charlie McGrath on the Left/Right ParadigmInterview 633 – Wayne Walton on Hour MoneyInterview 627 – Anthony Gucciardi on Why We FluoridateHow to Defeat #CISPA Once and for AllEpisode 262 – Solutions: Pirate InternetThe Money System and How to Change ItInterview 621 – Complementary Currencies – The People’s SolutionEpisode 261 – International Law?Why Are You Doing All Of This? (Video)Criminalize War ClubsCorbett Had a Beard? (video)Corbett Had a Beard? 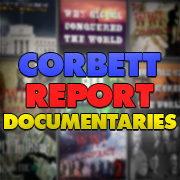 – Questions For Corbett #002New World Next Week – 2013/01/24Interview 588 – New World Next Week with James Evan PilatoInterview 573 – Education vs. Schooling: James Corbett on Smells Like Podcast3D Printing GunsInterview 572 – The Year Ahead: James Corbett on Revelations Radio NewsInterview 571 – 2013 Trends: James Corbett on The Financial Survival NetworkCorbett Report Radio 277 – Hatred is the Heart of the NWOCorbett Report Radio 276 – All Good Things…Interview 566 – James Corbett on Adam vs. the ManSelf-Issued Credit: A Monetary SolutionSolutions: 3D Printing (video)Financial Survival with Kerry Lutz (video)Corbett Report Radio 267 – Financial Survival with Kerry Lutz9/11 Truth Goes Global With Your Help (video)Corbett Report Radio 259 – 9/11 Truth Goes Worldwide (With Your Help)Bilderberg and the Turning Point with Dan Dicks (video)Corbett Report Radio 251 – Bilderberg and the Turning Point with Dan DicksSolutions for the Economic Collapse (video)Corbett Report Radio 235 – Solutions for the Economic CollapseTake Back Your Power with Josh Del Sol (video)Corbett Report Radio 230 – Take Back Your Power with Josh Del SolThe GMO Agenda (and how to combat it) with Anthony GucciardiSlaying the Mythical Winged Unicorn Beast (video)Corbett Report Radio 229 – The GMO Agenda (and how to combat it) with Anthony GucciardiThe Truth About the Gene Revolution (Video)Episode 241 – The Truth About the Gene RevolutionCorbett Report Radio 208 – Solutions: Hacking the Matrix20 More Ways You Are Being Spied On (Video)Corbett Report Radio 207 – 20 More Ways You Are Being Spied OnPower Corporation Exposed (Video)Episode 240 – Power Corporation ExposedInterview 536 – Lawrence McCurry on Power and Politics in CanadaHealth Freedom: Answers and SolutionsThe Thorium Solution with John Kutsch (Video)Corbett Report Radio 193 – The Thorium Solution with John KutschNew World Next Week – 2012/08/02Interview 529 – New World Next Week with James Evan PilatoWhy James (Probably) Won’t Sign Your Petition (Video)Corbett Report Radio 177 – Why James (Probably) Won’t Sign Your PetitionThe Alternative Currency Solution with Eyal Hertzog (Video)Corbett Report Radio 169 – The Alternative Currency Solution with Eyal HertzogThe Future of the Web (and what you can do about it)Corbett Report Radio 160 – The Good News and Food World OrderEpisode 231 – The Revolution of the MindCorbett Report Radio 120 – USAPrepares and Food World OrderCorbett Report Radio 119 – Your Slavery is Over! 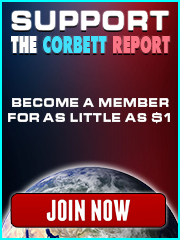 (If You Want It)Corbett Report Radio 109 – The New World Order Does Not Control EverythingCorbett Report Radio 106 – 9/11 TransparencyCorbett Report Radio 103 – Overcoming Fear with Marc ResslCorbett Report Radio 101 – We Are WinningCorbett Report Radio 099 – Against Intellectual Property with Stephan KinsellaCorbett Report Radio 098 – Nullifying Our Way Out with Tom WoodsEpisode 222 – Lessons in Resistance: Open SourceInterview 477 – Stratfor and the Future of Spying with Russ TiceSuing the Police – Nicholas Wright on GRTVCorbett Report Radio 079 – Against CorporatocracyInterview 467 – Nick Wright on Suing the Toronto G20 PoliceCorbett Report Radio 073 – The Fight Against Fluoridation with Dr. Paul ConnettThe Financial Coup (and How to Overcome It) – Catherine Austin Fitts on GRTV (Video)Interview 461 – Catherine Austin Fitts on the Breakaway CivilizationCorbett Report Radio 070 – Overcoming Learned HelplessnessCorbett Report Radio 067 – Solutions: Cognitive Liberty with Richard GroveCorbett Report Radio 057 – Solving the Money Problem with Matthew SlaterResisting the Police State: Solutions and AnswersCorbett Report Radio 054 – Deconstructing the PanopticonNew World Next Week – 2012/01/19Interview 452 – New World Next Week with James Evan PilatoCorbett Report Radio 052 – Solutions: People PowerCorbett Report Radio 033 – Back to the LandCorbett Report Radio 015 – Back to Economics 101Corbett Report Radio 013 – The SolutionEpisode 202 – How to Overthrow a DictatorInterview 336 – The Real PlatoInterview 333 – FreemanInterview 328 – Brian SmythThe Second Republic Solution – Adrian Salbuchi on The Corbett ReportEpisode 184 – Lessons in Resistance: Second RepublicChina Firing Back in New Cold WarEpisode 100 – 100 Signs We Are WinningEpisode 081 – Surviving the CollapseEpisode 053 – What Are We To Do With Our Lives? 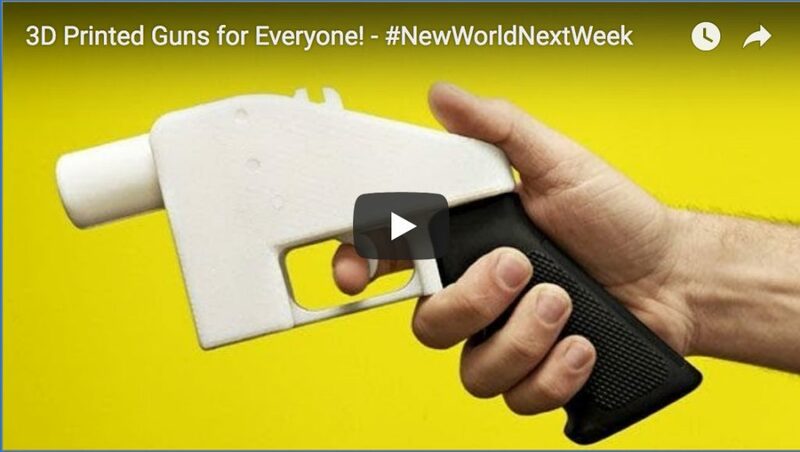 http://www.corbettreport.com/mp3/2018-07-12%20James%20Evan%20Pilato.mp3 This week on the New World Next Week: Ross Ulbricbht denied a Supreme Court hearing; cashless backlash begins; and the Github for guns is going to make gun control irrelevant. http://www.corbettreport.com/mp3/2018-06-20%20Lior%20Gantz.mp3 James Corbett joins Lior Gantz of wealthresearchgroup.com to discuss the New World Order, the deep state and the battle for global control, and how we can slay the beast by simply removing our participation from the beast’s system.